Generating electricity since 1972, Fawley was an oil fired power station on the western shore of Southampton Water in Hampshire. The station comprised 4 sets of 500MW Parsons generating units totalling 2GW capacity. 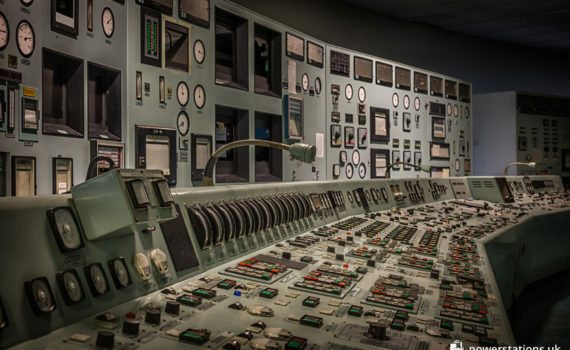 The main control room at Fawley, dubbed “The Flying Saucer” is a unique freestanding concrete disk-shaped building, connected by a bridge to the turbine hall. 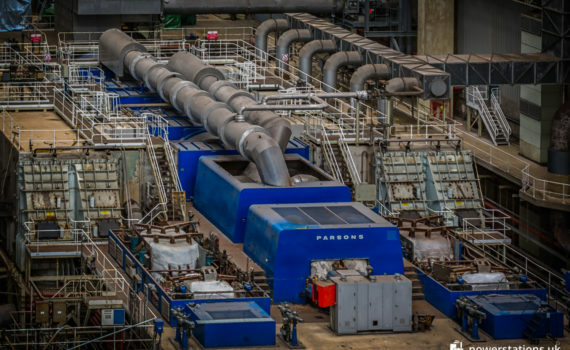 Fawley incorporates four 500 MW Parsons turbine-generator sets, totalling 2,000 MW generating capacity. 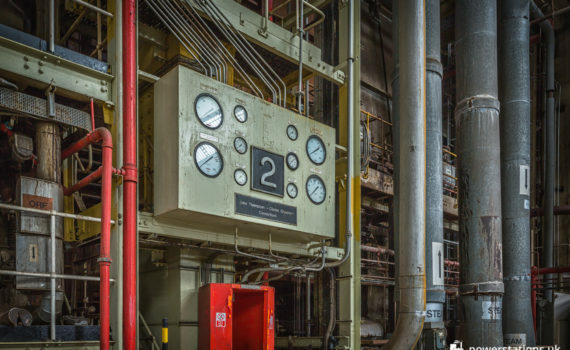 Units 3 and 4 were mothballed in 1995 and have since been partially stripped. 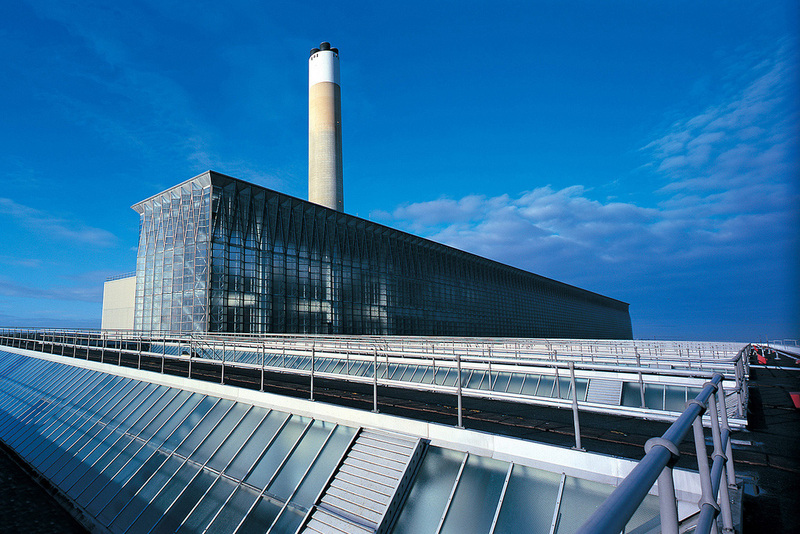 The oil-fired boilers of Fawley Power Station are contained within a central core rising above the turbine hall. The walls are a close zig-zag of glass. The thick marine-grade glass gives a translucent, crystalline effect.